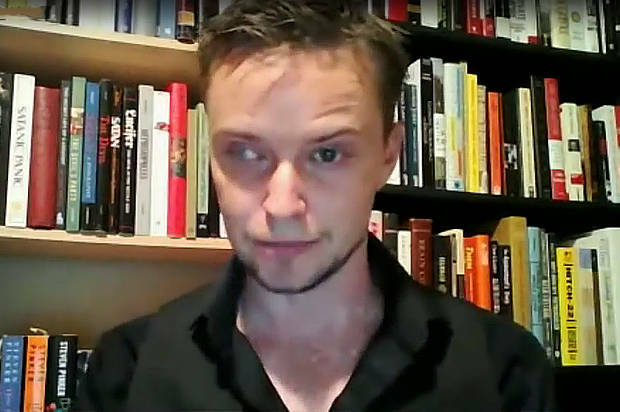 The pic is of Doug Misicko /Mesner / Lucien greaves – who is head of the Satanic temple. Looking at his face, you can pretty much guess he was teased mercilessly growing up, which is why he has a HUGE chip on his shoulder. He loves all the attention, which is pretty much what drives him and his drivel. He is using the tax exempt Church of Satan to bilk people out of their money to fund his pathetic life, and it really is sad that he is conning the same sort of people out of their money so he can party. The guy will say anything he needs for this to continue, and it is truly pathetic that someone like this is garnering the attention he is. Ugly is as ugly does, and the one thing that can not be denied is that this guy has a face that would scare all children and most adults. If God had beat me as bad as he did Doug with the ugly stick, I would probably hate him as well. Funny that Satan hasn’t made him any prettier. He obviously didn’t get much in the deal. Lol.